What Would It Have Been Like to Have John McCain as President? Having spent more than five years of my life in prison, I tend to appreciate even the more mundane exercises of my freedom more than others might. 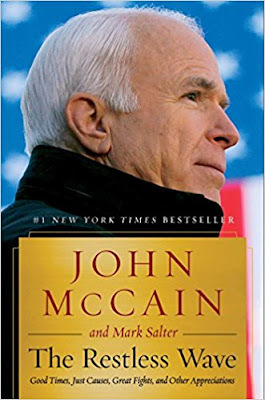 I was curious...after seeing and listening to the rhetoric about this man by the president, I wanted to learn more about him... And by the time I had finished his latest book, I wondered what it would have been like to have John McCain as our President. It was easy to recognize that with McCain's vast experience, education, and basic moral concerns, he was a man I would feel certainly had the credentials to become president of the United States. That he didn't, perhaps only because he didn't have the money to compete in the race, is an important statement in itself. This is not meant to compare him with others, rather to consider the man, read his own words, see his actions and experience, and recognize that, though there may have been some issues of concern, I would surely have considered him as a strong candidate. What God and good luck provide we must accept with gratitude. make it amount to more than the sum of our days. Most of the beginning chapters follow McCain as he travels to foreign lands. As he talked about what he was doing, I began to see and understand his vision of America as an international leader in the world... and the reason why. We are blessed, and in turn, we have been a blessing to humanity. The world order we helped build from the ashes of world war, and that we defend to this day, has liberated more people from tyranny and poverty than ever before in history. This wondrous land shared its treasures and ideals and shed its blood to help make another, better world. And as we did we made our own civilization more just, freer, more accomplished and prosperous than the America that existed when I watched my father go off to war. We have made mistakes. We haven’t always used our power wisely. We have abused it sometimes and we’ve been arrogant. 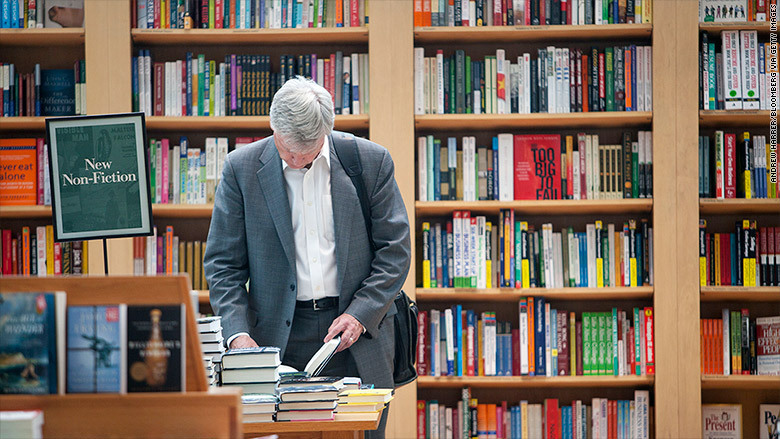 But, as often as not, we recognized those wrongs, debated them openly, and tried to do better. And the good we have done for humanity surpasses the damage caused by our errors. We have sought to make the world more stable and secure, not just our own society. We have advanced norms and rules of international relations that have benefited all. We have stood up to tyrants for mistreating their people even when they didn’t threaten us, not always, but often. We don’t steal other people’s wealth. We don’t take their land. We don’t build walls to freedom and opportunity. We tear them down. To fear the world we have organized and led for three-quarters of a century, to abandon the ideals we have advanced around the globe, to refuse the obligations of international leadership for the sake of some half-baked, spurious nationalism cooked up by people who would rather find scapegoats than solve problems is unpatriotic. American nationalism isn’t the same as in other countries. It isn’t nativist or imperial or xenophobic, or it shouldn’t be. Those attachments belong with other tired dogmas that Americans consigned to the ash heap of history. We live in a land made from ideals, not blood and soil. We are custodians of those ideals at home, and their champion abroad. We have done great good in the world because we believed our ideals are the natural aspiration of all mankind, and that the principles, rules, and alliances of the international order we superintended would improve the security and prosperity of all who joined with us. That leadership has had its costs, but we have become incomparably powerful and wealthy as well. We have a moral obligation to continue in our just cause, and we would bring more than shame on ourselves if we let other powers assume our leadership role, powers that reject our values and resent our influence. We will not thrive in a world where our leadership and ideals are absent. We wouldn’t deserve to. I have served that cause all my adult life. I haven’t always served it well. I haven’t even always appreciated that I was serving it. But among the few compensations of old age is the acuity of hindsight. I was part of something bigger than myself that drew me along in its wake even when I was diverted by personal interests. I was, knowingly or not, along for the ride as America made the future better than the past. turned down for this reason or another...McCain did not see politics as he traveled--he saw people in need and he wanted his America to help those in need... Though he failed often, still readers see the type of man, his character, his moral code, as he fought to serve those in need. Before I leave I’d like to see our politics begin to return to the purposes and practices that distinguish our history from the history of other nations. I would like to see us recover our sense that we are more alike than different. We are citizens of a republic made of shared ideals forged in a new world to replace the tribal enmities that tormented the old one. Even in times of political turmoil such as these, we share that awesome heritage and the responsibility to embrace it. Whether we think each other right or wrong in our views on the issues of the day, we owe each other our respect, as long as our character merits respect, and as long as we share, for all our differences, for all the rancorous debates that enliven and sometimes demean our politics, a mutual devotion to the ideals our nation was conceived to uphold, that all are created equal, and liberty and equal justice are the natural rights of all. Those rights inhabit the human heart, and from there, though they may be assailed, they can never be wrenched. 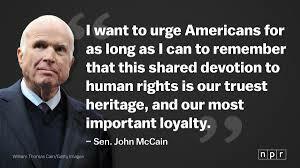 I want to urge Americans, for as long as I can, to remember that this shared devotion to human rights is our truest heritage and our most important loyalty. Mark Salter has collaborated with John McCain on all seven of their books, including Faith of My Fathers,Worth the Fighting For, Why Courage Matters, Character is Destiny, Hard Call, and Thirteen Soldiers. He served on Senator McCain’s staff for eighteen years. A mild breeze, soft as a baby’s kiss, greeted John “Cowboy” Howard as he closed the door behind him and stepped out onto the front porch. He drew a deep, ragged breath, held it, and then slowly let it out. The hollow space between his heart and stomach remained unimpressed by the simple relaxation exercise. The night was clear and soundless. John descended the porch steps on rubbery legs and started down the hill to the barn. His pulse was pounding in his ears and a heavy film of sweat covered both arms and dripped from his fingertips. It’s just a panic attack, that’s all. It can’t be anything else. The pills Kenneth prescribed are controlling my cholesterol and blood pressure, and I’ve been walking every day. I just had a check-up. Kenneth said I was doing great. John opened the barn door and sat down on a metal folding chair beside the first horse stall. He closed his eyes and tried to embrace the quiet. After a few minutes, he could feel his heart rate slowing and the perspiration on his hands and arms starting to dry. His legs still felt wobbly and the hole in the pit of his stomach was still there, but it was time to get started. Pale light from the waning moon shone through the windows as John walked the length of the barn to the last stall. JB flicked his ears and finished eating the apple. He looked at John and waited. John reached into his pocket and produced a second apple. 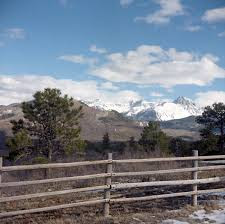 Mountain, the northern boundary of Wild Pony Ranch. 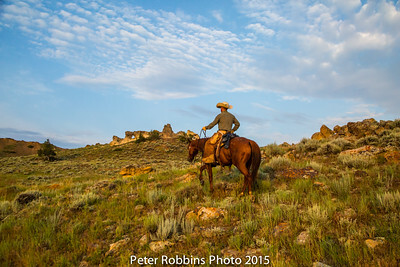 As he rode, John let his thoughts return to the previous evening. He and Sarah Jane had been eating supper when the phone rang. They rarely received calls on their landline and he had no intention of interrupting his meal to speak with some telemarketer or survey taker. After the fifth ring he had given in, swearing to Sarah Jane that he was going to cancel the line, or at least unplug the phone unless she bought an answering machine to take calls from rude people who insisted on phoning during the supper hour. David Kirkwood, or at least someone pretending to be David Kirkwood, had been on the other end of the line. John had been stunned. The man sounded like he was a hundred years old. He and David had first met in kindergarten and formed a tight bond that had endured for sixty years. They had grown up together, riding horses, playing sports, chasing girls, drinking beer, and getting into scrapes that they still talked and laughed about. John had been the best man at his friend’s wedding and David had returned the favor a year later when John married Sarah Jane. Other than his own family, David Kirkwood was the only person that still called him John. He was like a brother. Adam is a compulsive spender and gambler. dollars in several of its managed accounts. John was shocked that he had been made heir of the majority of David Kirkwood's estate, his life-long friend. Even more surprising was his asking John to ensure that none of the money would get into his son's hands. His son was a gambler and would go through his father's entire estate and David wanted to ensure that didn't happen! case nobody buys the book. By the way, I haven't mentioned that our main character, usually called Cowboy was once a rodeo bull rider star with many fans, have I??? Then there was the issue of John's grandson who was mixed race getting hassled...and later kidnapped! Lots of cowboy action and complex situations so that readers are sometimes even having to stop and pause to catch up! Still, until the very last, with a number of options on what was really happening, you just may be on the edge of your seat... Have to admit I loved the part when John's grandson used an Indian language signal to help find him! Great characters, great storyline...Highly recommended! 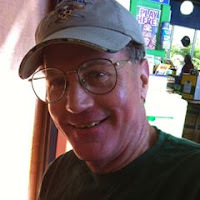 Ronald Paxton was born in Richmond, Virginia and currently resides in Newport News, Virginia with his high school sweetheart and wife of over 43 years. 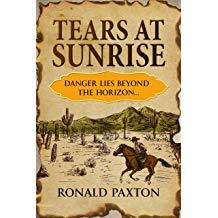 Mr. Paxton sold his first short story in 2008 and has since published approximately 40 short stories. His work has received Pushcart Prize and Best of the Net nominations. 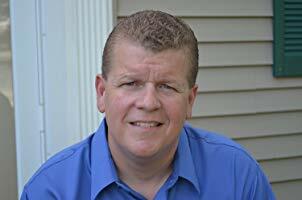 The author's debut novel, "Winter Songs," was published in 2012 by World Castle Publishing and his second novel, "Deep Water," was released in December 2013. "Haven," the sequel to "Winter Songs," was published in 2014. 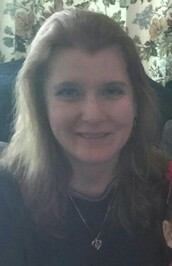 "Soul Man" was published in April 2015, by Moonshine Cove Publishing. Not Your Normal Legal Fiction! Lincoln's Last Trial: The Murder Case That Propelled Him to the Presidency! Mister Robert Roberts Hitt, the well-known steno man, arrived in Springfield late on the sweltering afternoon of August 28, 1859. As he stepped down onto the platform of the new station, he paused briefly and nattily patted the beads of sweat from his forehead, then vainly attempted to tug the wrinkles out of his jacket. The Alton Express had covered the two hundred miles from Chicago in a quite acceptable nine hours. Hitt had tried with limited success to practice his shorthand on the ever-shaking rails. It had not surprised young Hitt that the carriage was far more crowded than he had previously experienced: the Peachy Quinn Harrison murder trial had attracted considerably more attention than might otherwise have been expected once it became known that Abe Lincoln was going to defend the accused killer. A fair number of people were coming to Springfield to take the measure of Abraham Lincoln. His seven debates with incumbent senator Stephen Douglas the previous fall had gained him a national reputation, and the bigwigs were predicting he was going to make a run for the presidency in 1860. There was great interest in the man, and all the regional newspapers were covering the trial, including the Chicago Press and Tribune. The country had been introduced to him, thus far liked what it saw, and his conduct during the murder trial might help determine if this early flirtation would turn into a serious courtship. Hitt already knew the cut of the man. 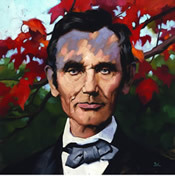 Although he dismissed it humbly when offered credit, it was his fine work that had helped bring Lincoln into prominence. As a student at the Rock River Seminary and DePauw University, Bob Hitt had taken a keen interest in phonography, the skill of rapidly converting spoken words to print, and became quite an expert at this form of shorthand. It was a well-paying trade, and he opened his own office in Chicago in 1856, working regularly for the state legislature, the courts and on occasion newspapers, which were rapidly adopting this new form of journalism. He had first met Abe Lincoln in ’57, when he had been hired by the Chicago Daily Press to cover the Effie Afton trial, a landmark case that was to determine the balance between traditional river navigation rights and the construction of railroad bridges over a waterway. During that trial Lincoln had taken a liking to the energetic young reporter. The great stir created when Lincoln and Douglas announced they would debate the complex moral, legal and economic economic issues of slavery and state’s rights throughout Illinois caused Press and Tribune co-owner and managing editor Joseph Medill to hire Hitt to bring a word-for-word account of the debates to his readers. Hitt’s transcriptions caused quite a stir. As newsman Horace White recalled, “Verbatim reporting was a new feature in the journalism in Chicago, and Mr. Hitt was the pioneer thereof. The publication of Senator Douglas’ opening speech in that campaign, delivered on the evening of July 9, by the Tribune the next morning, was a feat hitherto unexampled in the West.” Hitt’s transcriptions were sent by telegraph to newspapers throughout the entire country, including Horace Greeley’s important New York Tribune, and in several weeks transformed a little-known Illinois lawyer into a widely admired political figure. Lincoln was so taken with these transcripts that he requested two copies from the Press and Tribune’s co-owner Charles H. Ray, offering to pay “for the papers and for your trouble. I wish the two sets, in order to lay one away in the raw, and to put the other in a Scrap-book.” That “Scrap-book,” as he referred to it, was eventually published and sold more than thirty thousand copies, which added to his luster. Lincoln spoke plainly and forcefully, the power of his words defining his character for many thousands of Americans; but he also was shrewd enough to appreciate Hitt’s value to his ambitions. So much so that at the second debate, in Freeport, Lincoln was dismayed when Hitt was not present onstage and refused to begin until the steno man could be lifted out of the throng and seated on the platform, his papers on his lap. The two men, the tall, angular Lincoln and the small and slender Hitt, had become good friends, and were brought together again at this murder trial. Lincoln had already agreed to defend Harrison when Hitt was hired by the Illinois State Journal to provide a daily transcript for its readers. But as the trial began both the families of the accused, Quinn Harrison, and the victim, Greek Crafton, purchased copies of that transcript, which would prove a valuable tool should an appeal be necessary, paying $25 each. Lincoln subscribed for an additional copy from his friend Hitt, for which he paid $27.50. Hitt also was permitted to provide copies of his transcript to newspapers. 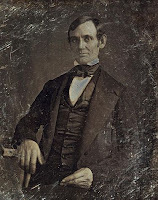 If that recording might also prove beneficial in spreading Lincoln’s reputation, well, certainly none of his admirers would find that objectionable. Hitt was quite pleased to accept this opportunity. 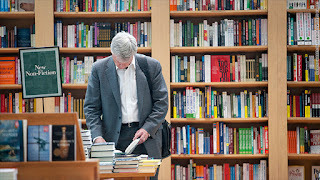 In addition to his substantial fees, the attention given to the trial would also boost his own growing reputation as a pioneer in the field. Trial transcriptions were still extremely rare. There existed no devices to assist the reporter, meaning every word had to be captured by hand, an extraordinarily time-consuming and difficult process. Especially in a courtroom where complicated legal terms and phrases were proudly bandied about. And, in most instances, there didn’t seem to be much need for every word to be written down. Judges didn’t rely on transcripts to make their decisions. Summaries of the proceedings had long been sufficient. And when necessary lawyers were expected to be truthful in their memories. Like most early practitioners of this profession, Hitt had developed his own system. Although relying mostly on the phonemic orthography method introduced in 1837 by the Englishman Sir Isaac Pitman, in which symbols represented sounds that could later be transformed into words, he had added those flourishes necessary for American English. He usually made his own transcriptions from those notes, but when pressed for time his assistant, a French Canadian named Laramie, would assist him with them. In addition to a change of clothing, Hitt carried in his carpetbag the necessary tools of his trade: several of the new Esterbrook pens with long-lasting steel nibs, a supply of ink and a sufficient number of loose sheets of machine-produced paper. 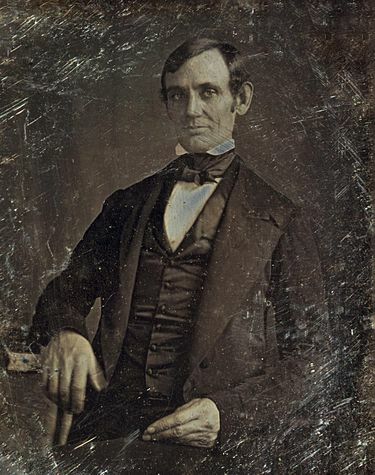 While the potential benefits to Lincoln’s political future that could be gained by providing an exact transcript to the Chicago newspapers—and beyond—were obvious, there also was an element of risk: Lincoln’s reputation was relatively untarnished; he had won the popular vote in the Senate election of ’58, but at that time senators were appointed by state legislatures, and the Democratic majority in the Illinois legislature had awarded the seat to the Democrat Douglas. Should he lose the trial, should he even make a major misstep, should Peachy Harrison be convicted of murder, the spotlight now focused so brightly on him might be dimmed. Creating an aura of invincibility is the goal of every person who stands for election, and a loss in the courtroom might easily damage that perception. 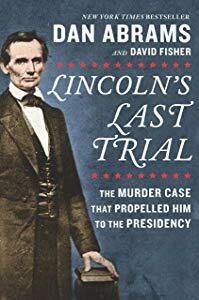 This extraordinary book, based upon a recently found transcript by Robert Roberts Hitt, is a pleasure to read...There are so many pieces to absorb beside the actual last trial by Lincoln. The time itself was in the midst of now being able to make available full transcripts of trials, speeches, and more. 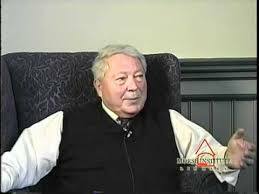 Robert Hitt was one of the earliest individuals who we normally called stenographers; i.e., there was no machine involved, it was one individual taking down what each individual said and then presenting a full documentation of what had occurred. The second point of interest was that laws were being written as a result of crimes being committed and trials taking place. It seemed a bit haphazard; on the other hand, the men who were lawyers at that time, loved the law and were personally dedicated to improving the processes as they handled each case. In order to move justice forward, lawyers would take turns acting on behalf of the defendant, as the prosecutor, and even the judge. Men like Abraham Lincoln had gained their reputation through their won cases and trust in the individual proved to be a deciding factor on which lawyer someone would select. A perfect illustration of this was being asked to handle the case for Quinn Harrison, by his grandfather, who within the political area. Lincoln and he were mostly enemies... 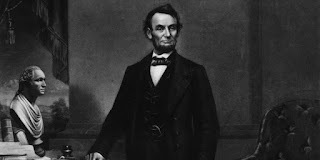 Yet, Lincoln was requested and he accepted, even though he was already in the midst of, having decided to run, working to promote his candidacy as president of the United States. What was most refreshing, however, was the atmosphere of the setting of a trial. First, this was a highly controversial murder in a small town where the two men involved had family and friends. Everybody had already taken sides as to who was guilty... Indeed, at that time, entire communities would come to watch legal cases, using it as a high form of entertainment, even beyond their possible personal interest. While basic structure was maintained, still one lawyer or another felt free to stand, interrupt, and propose a thought, without anybody objecting. Then, too, most of the lawyers knew and liked each other and rarely would treat the other without complete respect. All in all I enjoyed the historical perspective of the whole book, well beyond the murder case itself...The research beyond the found transcript certainly increased the awareness of the time period as well as the people involved. For me, the murder case was cut and dry...There was no doubt in my mind that the defendant was not guilty--perhaps I've read too many novels by Kenneth G. Eade who gives us thrills and suspense! 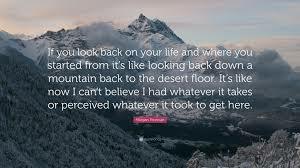 Kinda kidding, but, truly, there was such a difference...everything straight forward, nothing but the law being reviewed, applied and acted upon to pull together the facts that ultimately allowed a clear decision to be made... Or was it? Because the closing argument by Lincoln was "one of those speeches" he was known for and held all within the building spellbound... Just as I was for the entire book! For legal fiction fans...This is a Must-Read. For Historical non- and fiction fans...This is a Must-Read. And let's face it, just for the value of learning about our great president's last murder case... Well, I recommend it as a Must-Read...for Everybody! Abe Lincoln had the knack for making his complete preparation look casual, from the choice of his words to the cut of his cloth. He dressed to satisfy the jury. To his closing argument in a high-profile libel case argued in Vermillion County, where he was not well-known, he had worn a fine broadcloth suit, a silk choker and thoroughly polished boots. But here in Springfield the people knew him well and would not be impressed by any highfalutin silk ties. So he wore his almost-threadbare black frock coat, a vest, an old-fashioned stock tie and handmade suspenders, and shapeless brown trousers. His boots were dull from use, although they had been soaped clean. He was a Sangamon man. He walked to the jury box and took in all twelve of them with a glance. He wished them “afternoon,” and said hello to those five or six men he knew by first name. He was following the first rule of good criminal lawyering, Hitt realized; he was building a relationship with the jury. He was just Abe, their neighbor, the man who shared their values and their lives, standing here hopin’ they could solve this sticky problem together. Dan Abrams is the Chief Legal A​nalyst​ for ABC News and the host of "Live PD" on A/E Network. He was previously the co-anchor of ABC's Nightline, host of “The Abrams Report” and the acclaimed “Verdict with Dan Abrams” on MSNBC, as well as the long time Chief Legal Correspondent for NBC News. His co-author is David Fisher. CONGRATULATIONS TO STEVEN MANCHESTER! GRAND PRIZE FOR THREE SHOEBOXES!!! Over 340 of you read the Prequel, Not Fair, a free Short Story, to this book... If you haven't read it yet, check it out! Now, after learning about this, I went out and bought the book! Three Shoeboxes Takes the Grand Prize at the 2018 New York Book Festival! We did it, Folks. We took the Top Prize at the 2018 New York Book Festival! Three Shoeboxes--and its timely message--mean a great deal to me and I'm absolutely thrilled that it's being so well received. NEW YORK RELEASE: The story of a family man who faces the struggles of post-traumatic stress is the grand prize winner of the 2018 New York Book Festival, which honors books worthy of further attention from the world’s publishing capital. 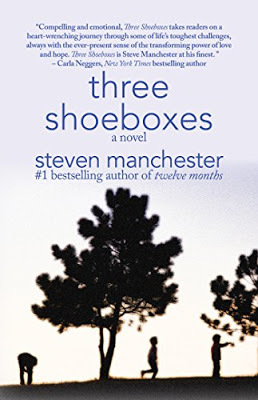 Author Steven Manchester’s Three Shoeboxes (Fiction Studio Books) tells the story of Mac Anderson, who has a seemingly perfect life on the outside, but battles an invisible enemy called Post Traumatic Stress Disorder. One shoebox might store an old pair of sneakers. Two shoe boxes might contain a lifetime of photographs. But in Three Shoeboxes, a father’s undying love may be just enough to make things right again. This compelling and emotional story by a master of family-oriented fiction will be honored at a private reception at the Algonquin Hotel in Manhattan in July. 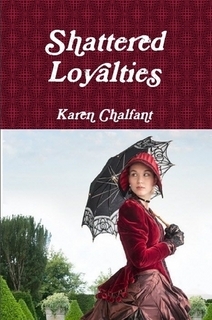 Karen Chalfant Presents Shattered Loyalties! "I got your bath ready, Miss Miranda. Do you want me to help you undress?" Miranda turned so Megie could undo the many buttons down her back. "Your mama been lookin' for you and she all in a dither." "Yes, I heard." Miranda looked over at her bed and saw the red gown. "I won't be wearing the red gown, Megie. I'll be wearing the burgundy one that Papa bought me last week. "I figured so, Miss Miranda. I know you not as fond of the red one. I got the red one out cause your mama said so but I got the other one ready for you anyway," she said as she undid the last button. Miranda turned and faced her. "Thank you. I knew I could count on you!" she said giving her a tight hug. Miranda didn't know what she'd do without Megie. The girl knew her so well. Taken from her mother's side in the cotton fields and given to her as a child on her sixth birthday, Megie had been her servant and companion for nearly her whole life. She didn't even understand until she was ten years old that Megie, this pretty, young girl with chocolate brown skin who did things for her, and who she considered her friend, was her slave. Even then she couldn't comprehend how one could own another human being and since that time it had bothered her. She understood the need for labor in the south but was never able to understand why people had to be owned to acquire the labor. At sixteen years of age when asking her papa about it, all he said to her was "That's the southern way, Miranda. Slaves are needed to work the fields and help the family. That's what's done. It's just our Christian duty to see that they're fed proper, to look after their needs and to treat them well. Now don't bother your pretty little head about it." And with a kiss on her cheek he had sent her off. That was when she also learned that Megie had been tormented by the other slaves who were all of pure black descent; tormented not only because of her white blood but because of a dark birth mark on her left collar bone, shaped almost like a bolt of lightning. The other slaves, superstitious as they were, considered it a curse, leaving Megie, only a small child, chastised for an accident of birth. Even Megie's own mother feared her small child because of the mark and was glad when the Massa took her to work in the bid house. "It's not a curse," Miranda told Megie early on. "It's a blessing. You have been kissed by God. God creates life, does He not?" Miranda may have been a southern woman and lived on a farm with slaves, she had begun to form her own opinions early from her own conscience, or perhaps God's teachings, and her compassion, not accepting that people had a right to own other people. Fortunately, her father had adjusted to his own opinions and his workers were quite happy staying on the plantation. First, she had overheard just a small part of a discussion among her husband, his father and their lawyer. She had heard a woman's name...and her father-in-law was recommending that they get rid of her! And finding out the truth that the woman's name was actually the name of a ship...a slave ship...didn't help! Her husband was illegally involved in bringing in more slaves! And as things moved rapidly toward a climatic ending, Miranda sought information on the nearest location to find an Underground Railroad for escape...and Miranda told Megie and her husband, who had been married by "stepping over the broom..." to get ready because she was going with them! I've always had feelings much like the author...that God never intended man to be owned by another man...and, even today, treated by some with hate and disdain... I think it is important that books such as this be written by White people to show that so many of us still care and hurt for how God's children was and can be treated through prejudice. Although there are some proofreading issues, they did not detract from the wonderful story that is being shared by Karen Chalfant. I met Karen through her book, Deep in Time. Do check out my review of that book, which made me decide that I wanted to read another by this warm, sensitive author. I'm not sure whether they are listed as Christian books, but they certainly share His love in her stories... Highly recommended. Love God, Live Life, And Write It All Down..
Adolfo Caso's Poetry, Wind Directions, From Meditation Comes a God Incident! As he did when a boy. To the rhythm and direction of that wind. Until the movement comes to a stop. His wife calls from the bench. As he pushes one branch down his side. All he does is in vain. Live and continue to die accordingly. How many generations to come!